We will see some of the coldest air of this winter season move in over the next few days. 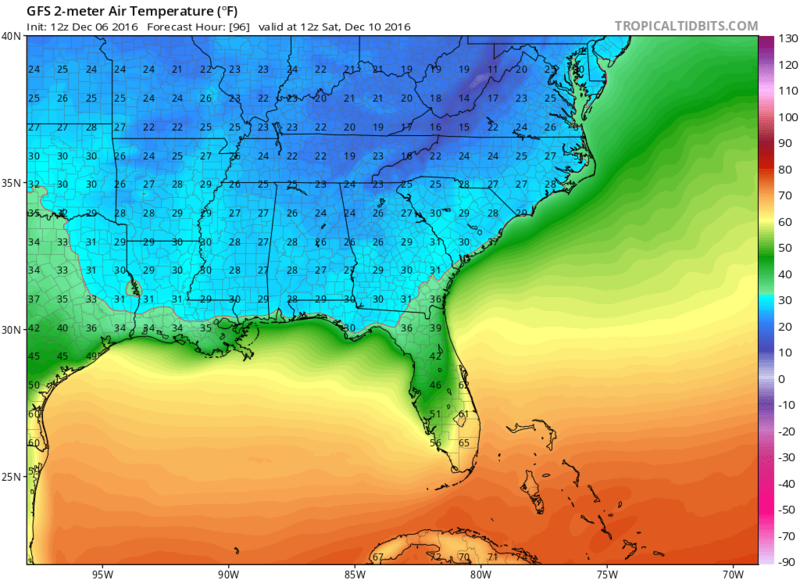 All areas will see lows in the upper teens to upper 20’s, except the Gulf Coast and Northern FL and they will see low to upper 30’s. This is still cold by their standards as well. 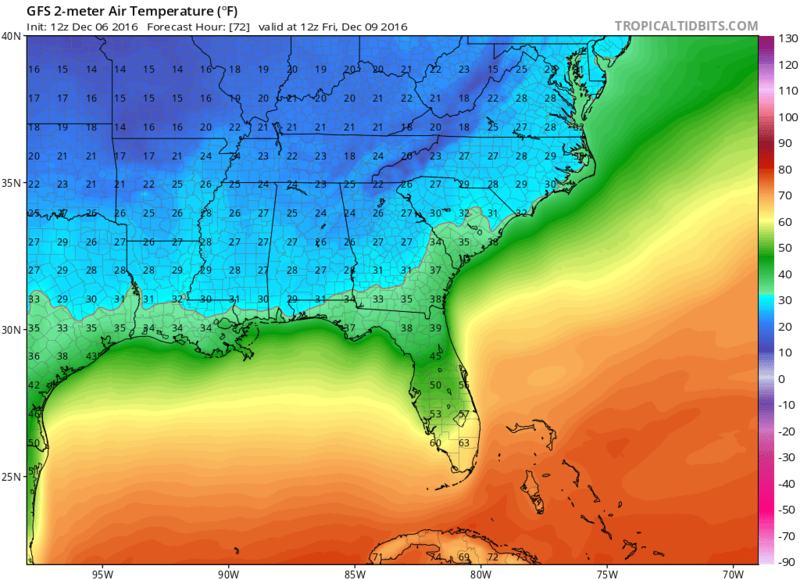 Highs on Friday will be near freezing from the TN Valley to Western NC. Friday night will be a few degrees colder as well. Fair weather and seasonable cold will follow this arctic front but still cold nonetheless. We will discuss the possibility of some wintry weather for the TN Valley, NC, Upper SC and North GA in an email update for members. Join today at up to 50% off normal rates. Click the button below to join today!